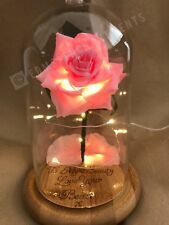 Enchanted Rose Beauty and The Beast Preserved Flower in Glass Immortal Gift. 200mm High. Personalised Letters. We make premium craft shapes from the highest quality of MDF in all sorts of designs and sizes! Extra large. Highest Quality MDF. Money Box MDF Quality with stopper. The solid spheres are ideal for 3D animations as well as being useful for class work to demonstrate the planets, molecules and biological topics ~ great for model solar systems which is a popular school project. The only exception would be where we have made a mistake with the printing which can occasionally happen. Maisie Moo Personalised Gifts. There are two ways to do this. Grey Hand painted sitting Bunny approx 15cm tall with personalised wooden label and bow in a colour of your choice. Hole in tummy where Kinder egg sits (kinder egg not included). Label colours Available in pink, lilac, green, blue or yellow. The only exception would be where we have made a mistake with the printing which can occasionally happen. Maisie Moo Personalised Gifts. There are two ways to do this There is no specific word limit as we can make most things fit by adjusting the font size (within reason). 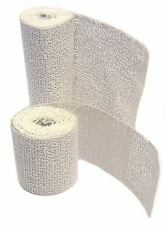 Contains 4 x 15cm x 2.75m rolls of high quality plaster bandage. 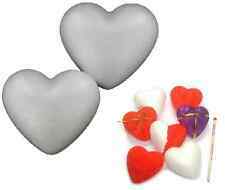 5 x Polystyrene EGGS - solid - 120mm - 12cm tall - for props, displays, easter They can be directly painted or can be decorated with a multitude of craft and modelling materials including metallic acrylic paints which look brilliant. 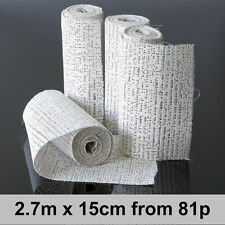 We stock these as well. More information in full description. 10x Spent. 223 (5.56mm) brass casings spent cases for hobby/craft whistle making. whistle not included pic only for example. CERTIFIED NICKEL & LEAD FREE - Avoid Skin IRRITATION ! MDF MONEY BOX. Quality Made Money Box. Cut on CNC machine for precision. 100mm High.